Downtown McMinnville offers about the closest thing to time travel there is. Third Street is packed so tightly with old-time charm, it can take several strolls to absorb it all. Close to 70 buildings make up a dense and architecturally endearing downtown district recognized by the National Registry of Historic Places. There are many small, photogenic towns in Oregon’s Willamette Valley but McMinnville’s impressive depth and history make it quintessential. vintage and antique shops and record stores. 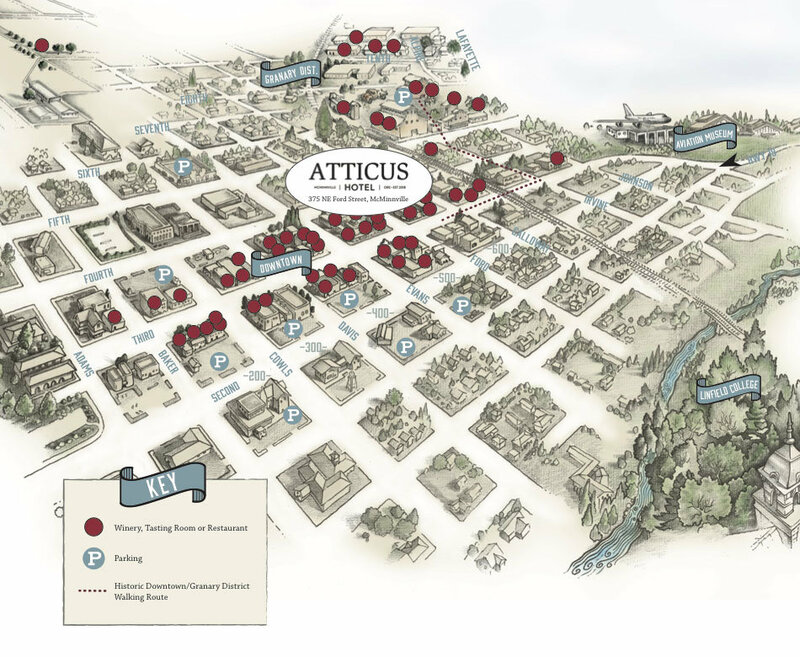 McMinnville demands to be explored and thanks to the Atticus Hotel’s central location, you can do so by foot or bike, at your leisure. The Granary District is old and new McMinnville, all-in-one. Forever a gathering place, this collection of warehouses and silos just outside of downtown was once a major site for storing and processing grain, among other agricultural products. As farmers began to swap hazelnuts and wheat for grapevines, the Granary District evolved into a community cellar of sorts, with multiple wineries taking over old farming facilities. The District continues to be both a marketplace for locals and visitors alike and a nod to McMinnville’s rich agricultural history. It’s a place to grab a freshly roasted cup of coffee or take in a live show at the amphitheater. It’s a place to peruse fresh produce or rub elbows with a winemaker at a food cart. If Third Street is McMinnville’s prized crop, then the Granary District is the soil that got it there. McMinnville is full of magic but there’s much more to the Willamette Valley. 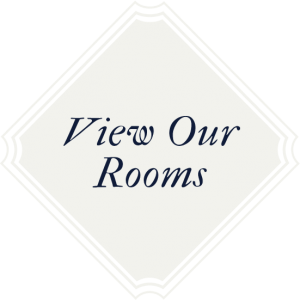 Situated at the core of Oregon wine country, the Atticus Hotel is a short trek from some of the most exciting wines and wineries in the nation. The wonders stretch beyond vineyard rows to the state’s incredible terrain, from coastal beaches to high desert forests.